Featuring special guest Ira Losco, the al fresco event at St George’s Square, Valletta, will be the tenor’s biggest concert yet. Renowned Maltese tenor Cliff Zammit Stevens will soon celebrate the 10th anniversary of his extensive career with his largest annual concert in Malta to-date – and tickets for this highly-anticipated event are now on sale. 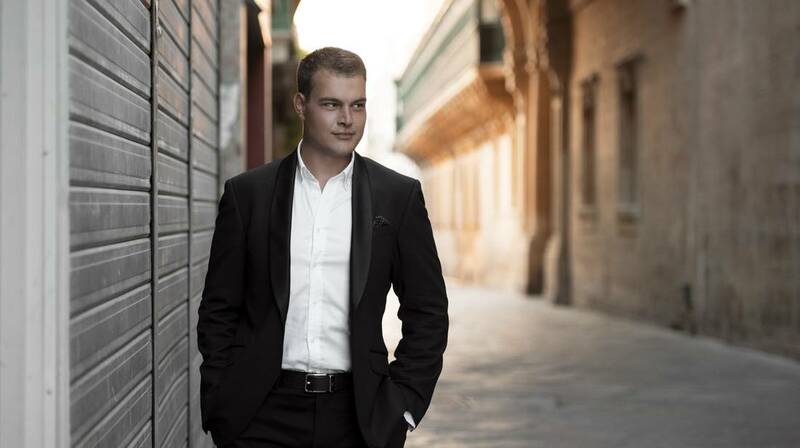 For one night only, the talented tenor’s open-air concert will take place in St George’s Square on the 3rd October, in the heart of Malta’s capital city and European Capital of Culture 2018, Valletta. As well as being supported by the Malta Philharmonic Orchestra and conducted by Mro Philip Walsh, Cliff will be joined on stage by special guest star Ira Losco. Among a number of beautiful songs on the night, the duo will perform their new release, Xemx. This vibrant celebratory concert also marks the launch of The Marcy Foundation, which was set up by Cliff to honour the memory of his mother, Marcelline, and aims to provide guidance and support to victims of domestic violence, drug abuse, mental health, HIV and child abuse. Returning to Malta where he was born and raised, the popular tenor’s largest solo concert ever will celebrate an illustrious decade-long career that has featured performances in operas and concerts across Europe, including at the Theatre de Champs-Élysées in Paris, and the Royal Albert Hall in London. The Cliff Zammit Stevens 10th Anniversary Concert will take place on 3 October 2018 in St George’s Square, Valletta. It is supported by Valletta2018 and sponsored by Intercontinental Malta and BOV. Tickets are now available at www. showshappening.com. More information regarding The Marcy Foundation may be found by visiting www.themarcyfoundation.com, or by searching for The Marcy Foundation on Facebook.